The Advanced Learning Center (ALC) is a one-of-a-kind initiative that complements conventional bedside teaching by bringing practice-based learning to the fore. It is accessed by students, faculty and the nursing staff alike. It is well-known among other hospitals for its frequent workshops and implant validation programmes. Courses are also tailor-made to teach specifics within basics, orthopaedics, ENT, endoscopic, temporal bone dissection or minimally invasive procedures, neurosurgery, general surgery, plastic surgery and OB-GYN. 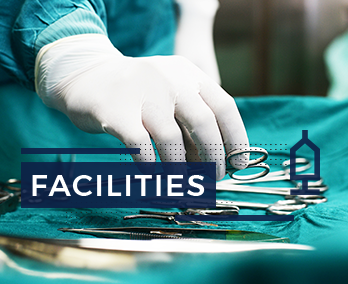 Multispecialty staff use the resources at the ALC to conduct a variety of surgeries. An advanced multimedia section with a 100-person seating capacity is an advantage for students who are required to observe medical procedures virtually. 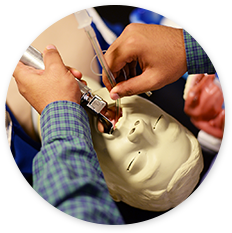 nursing students are taught the basics of surgery, Trauma Life Support, Advanced Cardiac Life Support and other skills, through mannequins, models and simulation techniques. that act as ‘near-life’ specimen. This helps postgraduate and medical professionals hone and advance their skills. The “Live Well, Leave Well” initiative ensures that cadaveric research at the ALC runs without pause, benefiting the medical community.